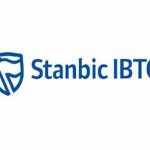 Stanbic IBTC Holdings, commonly referred to as Stanbic IBTC, is a financial service holding company in Nigeria with subsidiaries in banking, stock brokerage, investment advisory, pension and trustee businesses. 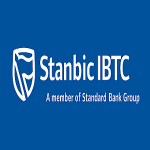 Stanbic IBTC Holdings is a member of the Standard Bank Group, a financial services giant based in South Africa. Standard Bank is Africa’s largest banking group ranked by assets and earnings operations in 20 African countries and 13 countries outside Africa. To create amazing user experiences using clean, clear and artful designs with superior UI methods. Minimum of a First Degree in Computer Science, Interaction Design, Human-computer Interaction. Relevant additional qualification will be an added advantage. Minimum of 5 years post qualification experience. Apply on or Before: 5th March, 2018.